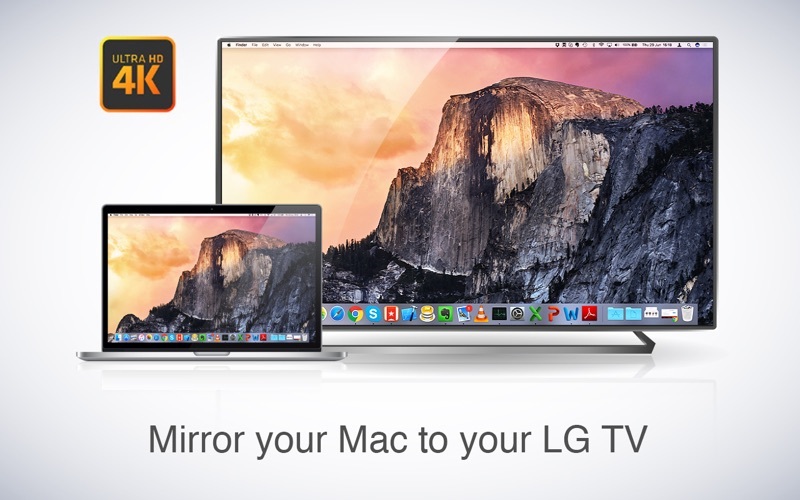 Application to mirror the screen of your Mac to any LG Smart TV. No wires and no additional hardware needed! 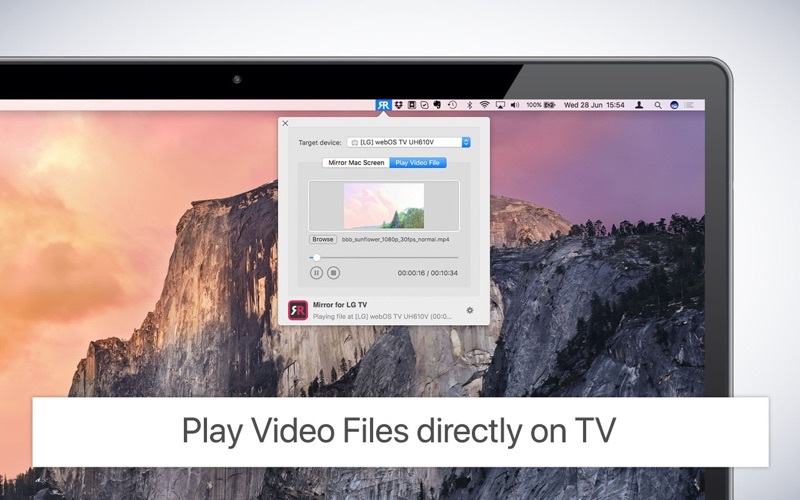 You can also stream individual video files from your Mac to your TV. 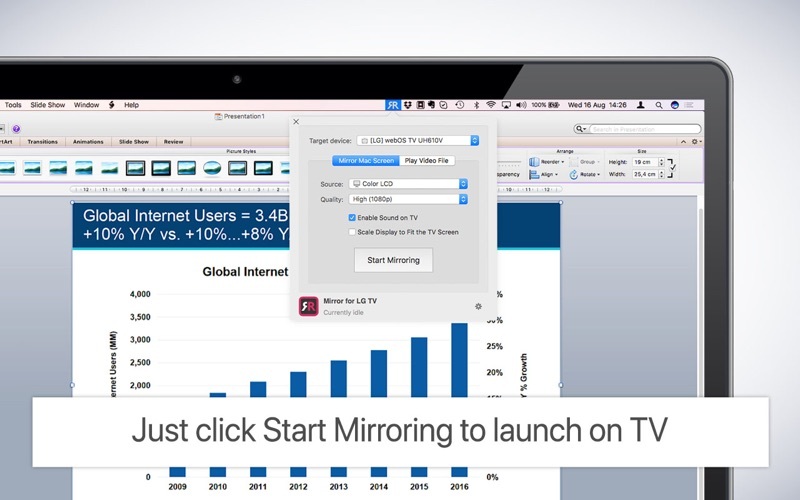 Also, we included the option to watch one window on your Mac, and another window on your TV! 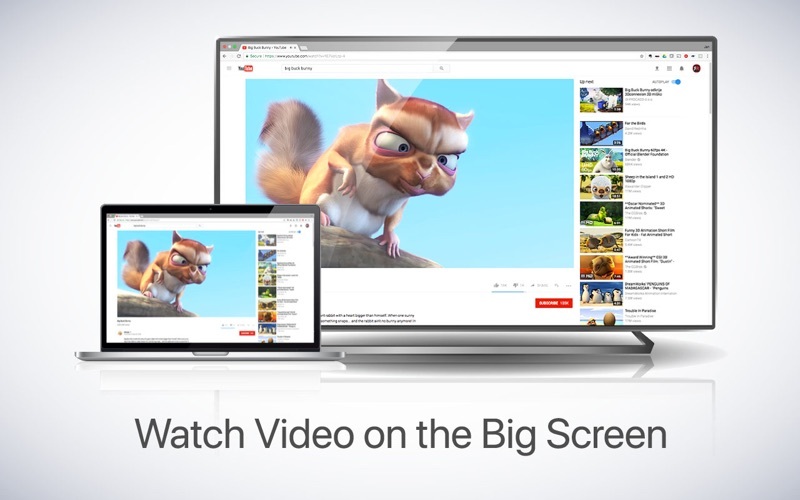 This works on any LG Smart TV from the 2012 models onwards. And the LG Home Theater System. In using the app, there will be about 2 to 3 seconds of latency. So this mirroring is not suitable for gaming. - Preferably, connect your TV by LAN cable to your router. - Use an "ac" router. If you don't have one, then an "n" router. - Try not to overload your wifi network by moving big files around while you are mirroring. 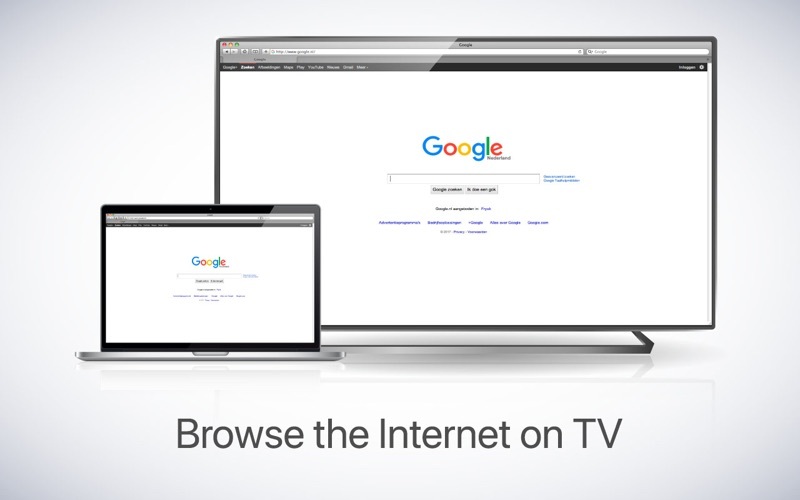 First, make sure that your LG TV is on the same local network and same subnet as your Mac. The TV should not be in screen mirroring mode, but just on "TV" Mode or any HDMI IN port.